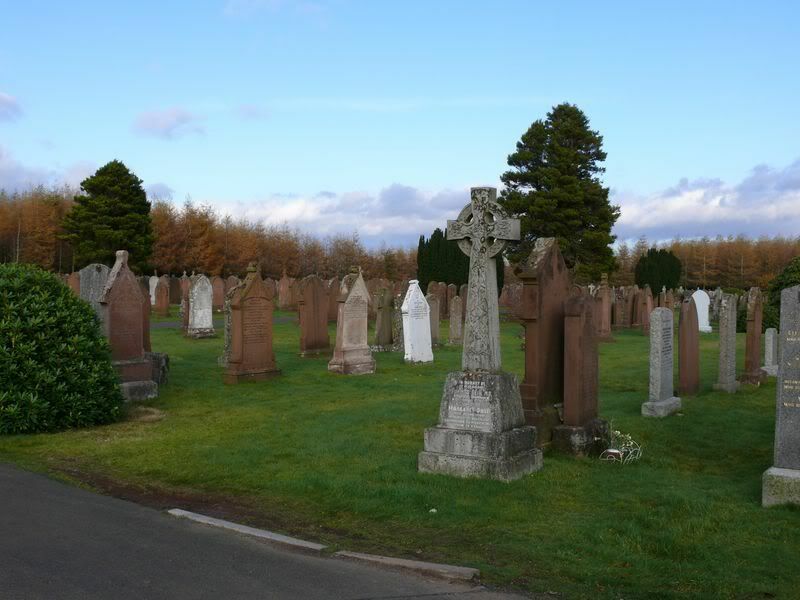 On the road West out of Lochmaben, past Kirk Loch, take the first left and first left again. Grave/Memorial Reference: C. 36. A. 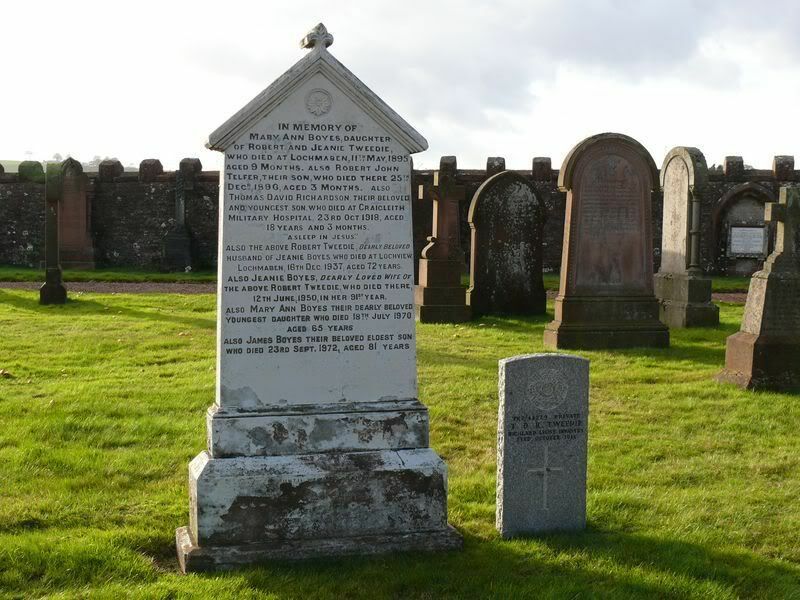 Additional information: Husband of Mary Campbell Carmichael, of Broadchapel, Lochmaben. Grave/Memorial Reference: D. 15. A.
Grave/Memorial Reference: C. 113. 8. 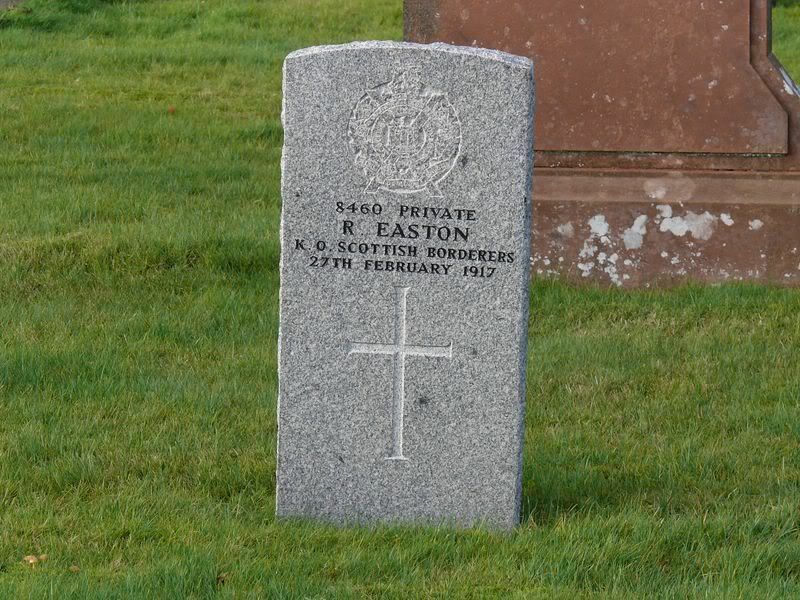 Additional information: Son of Robert Gibson and Wilhelmina Gibson, of Chipknowe, Applegarth, Lockerbie, Dumfries-shire. Enlisted Sept., 1914. 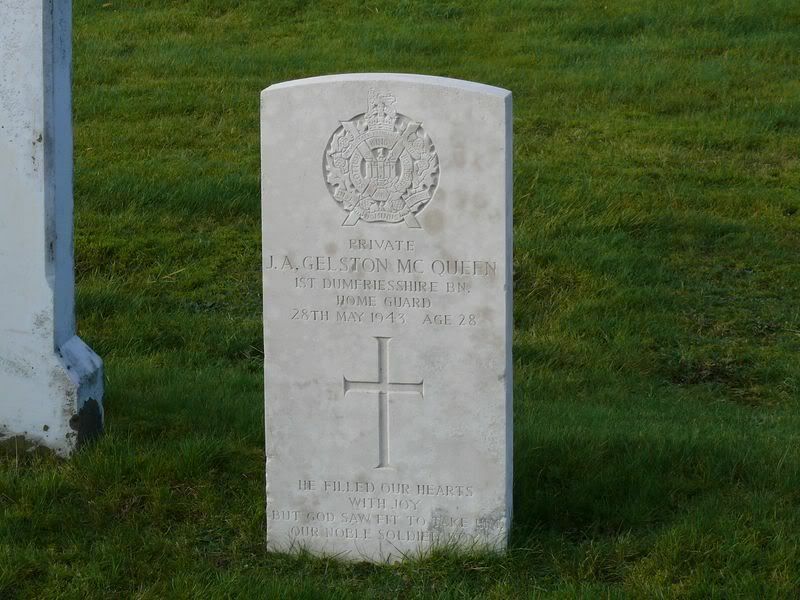 Served on Gallipoli, in Egypt and France. 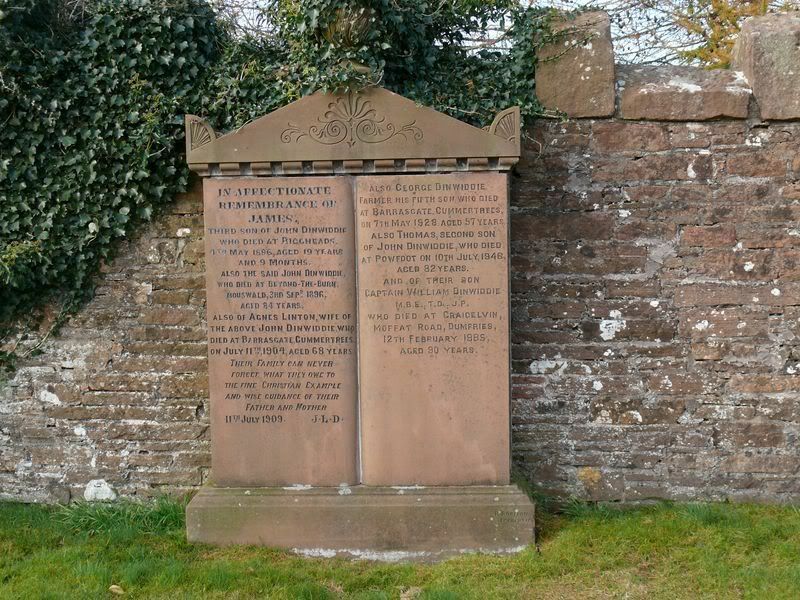 Born at Langholm, Dumfries-shire. Grave/Memorial Reference: D. 151. A. 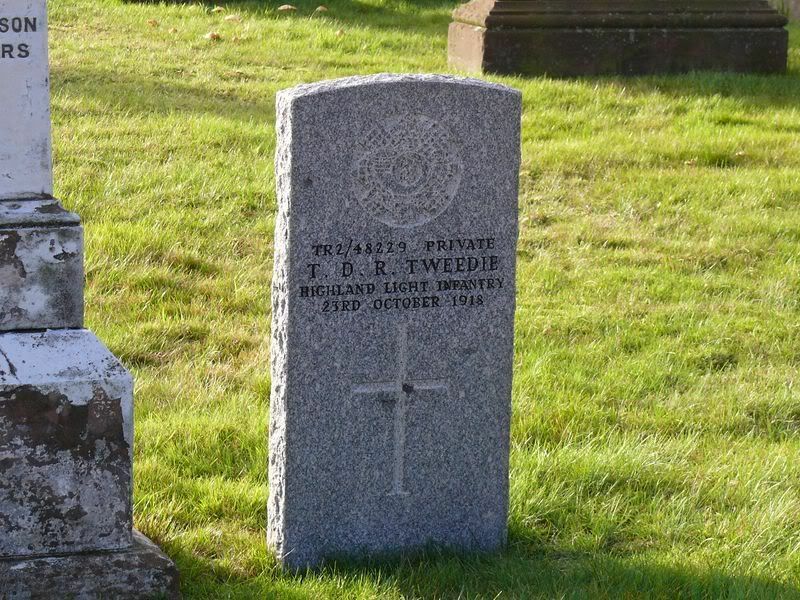 As well as the CWGC stone, he is also listed on the family stone beside. 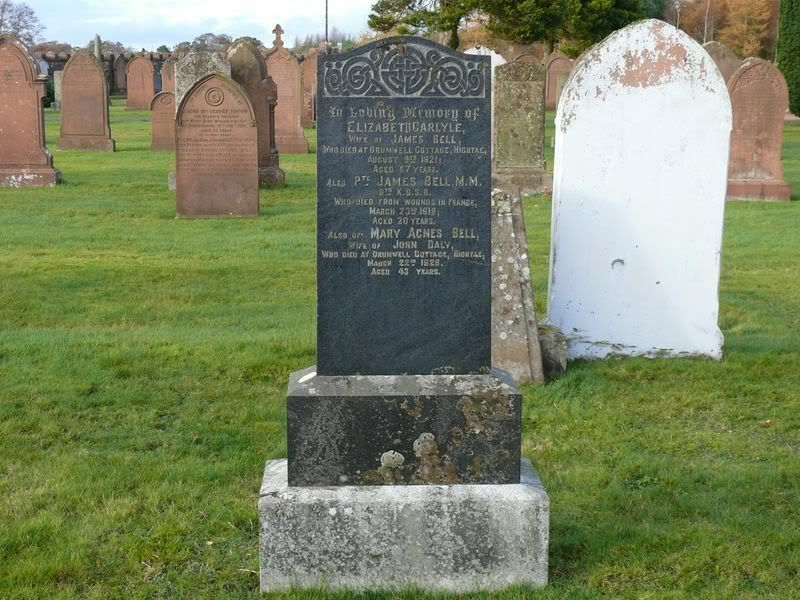 Additional information: Son of Mr. Robert and Mrs. J. Gilbertson, of Bellsprings, Annan, Dumfries-shire. Grave/Memorial Reference: B. 151. A. 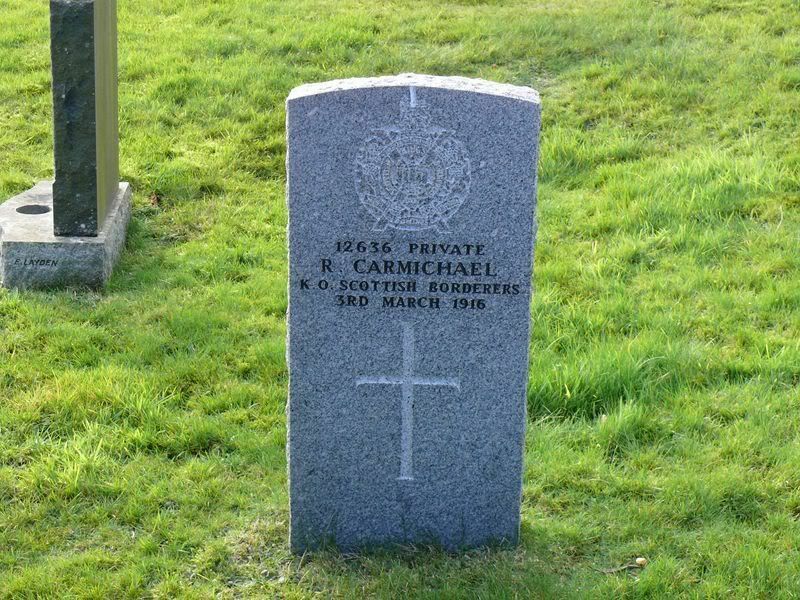 As well as the CWGC, he is also listed on the family grave beside. 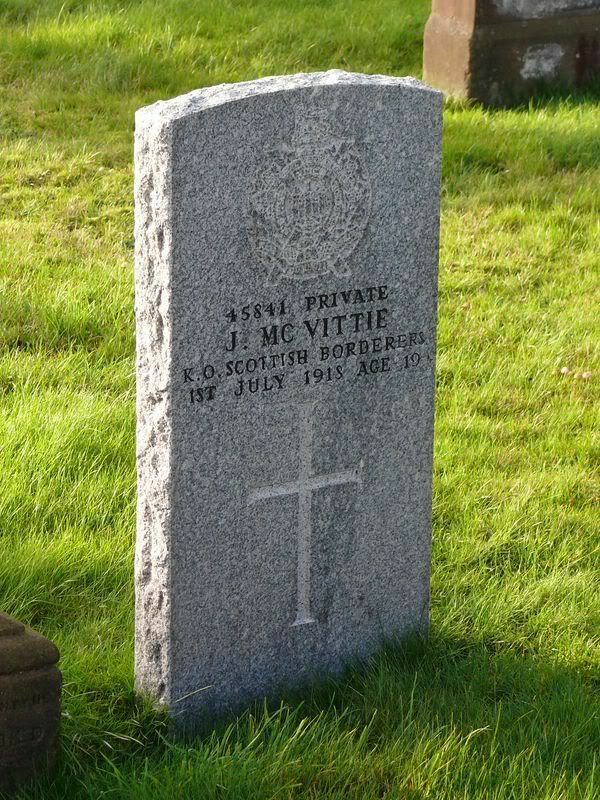 Additional information: Son of Barbara McVittie, of Moorfoot Cottage, Amisfield, Dumfries-shire. Grave/Memorial Reference: B. 82. A. 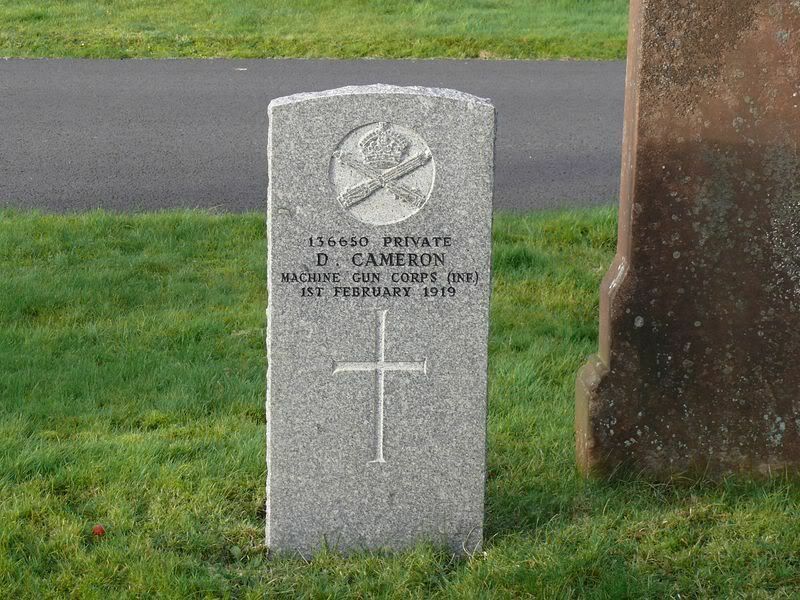 As well as being listed on the CWGC stone, he is also listed on the family stone beside. 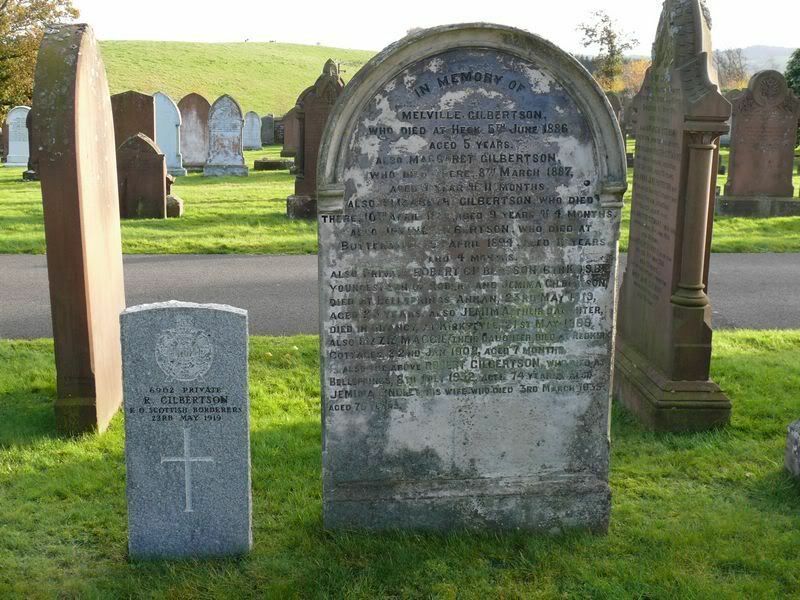 Unit Text: 1st Dumfriesshire Bn. Additional information: Son of Margaret Gelston. Grave/Memorial Reference: Compt. C. Sec. 135. Grave A.
Grave/Memorial Reference: A. 7. A. 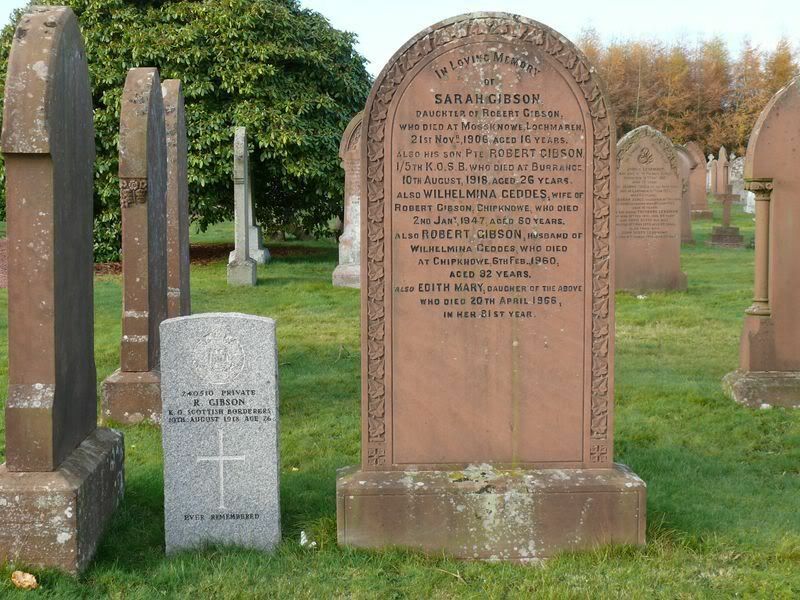 Additional information: Husband of M. E. Gibson, of Kirkoswald, Cumberland. Grave/Memorial Reference: Compt. N. Sec. 20. Grave A. 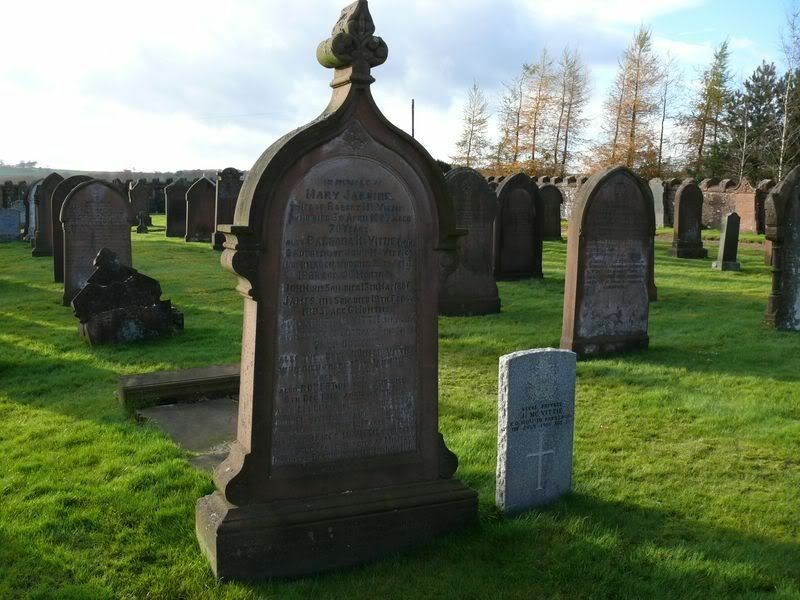 Additional information: Son of George Graham, of 12, Princes St., Lochmaben. Grave/Memorial Reference: D. 29. A. 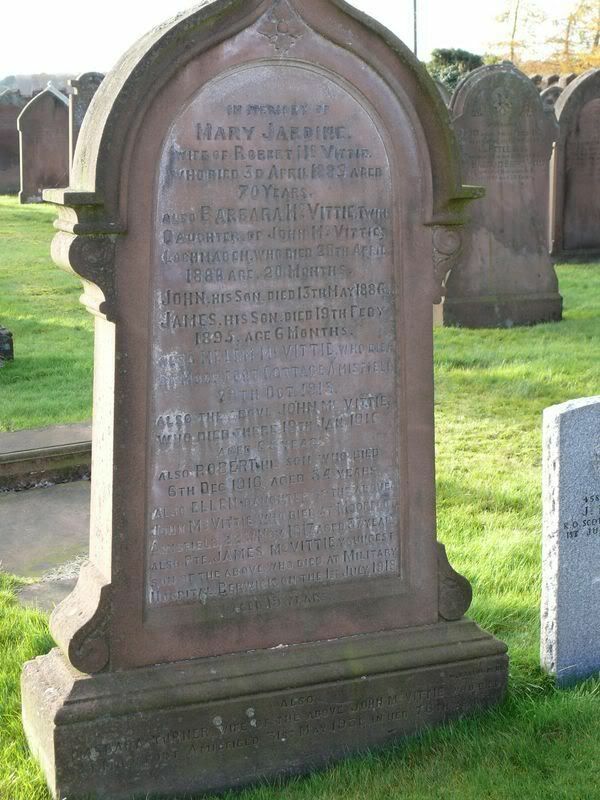 Additional information: Son of George and Marian Henderson, of Glasgow; grandson of Mrs. G. Henderson, of Glasgow. Grave/Memorial Reference: Compt. G. Sec. 56. Grave C.
Grave/Memorial Reference: C. 102. A.